This essay will deal with the question if and how the concept of human rights has led to changes in Soviet policies and to the end of the „Cold War“. With a special view on the work of the CSCE and non-governmental groups (further revered to as NGOs). After World War II. national leaders had learned, that international regimes were not just a domestic matter but could themselves become a menace to world peace. Although, while many human rights are, as Louise Shelley has pointed out, a Western concept and not encouraged or institutionalized by many non-Western countries, these countries were signatories to the United Nations´ convention on human rights. Still their political and social cultures did not conform to many of the provisions expressed in it. This issue of human rights, as it has emerged mainly out of the ideas of the Enlightenment, still remained alien to many of the world´s nations after the War. As has been pointed out by distinguished historians and as Shelley mentioned, Russia was outside the Enlightenment. The Soviet Union is the heir of the Russian legal tradition, a culture in which individual rights were consistently subordinated to the state. It is also important to note, that Russia was, as Shelley said, never directly exposed to the ideas of the Enlightenment, although some of its values were transmitted via the czars. Most importantly to know is that, Human rights can not be imposed on a society. Institutions that foster and nurture human rights must develop in a society itself. This is a gradual process. In societies without such a tradition it is unnatural to expect that such a transformation can occur in the face of a different historical legacy and in the face of other pressing economic and political problems. Knowing this, the following paper will show how NGOs and Soviet national leaders have tried to establish Human Rights in the USSR and what role the CSCE played in that process. One of the strongest pushes for human rights in the Western world has been provided, so Shelley, by the agreement establishing the Conference for Security and Cooperation in Europe. Popularly better known as the Helsinki accords, it was not originally conceived of principally as a Human Rights document. Adopted in Helsinki 1975, it has had a very significant impact on the US-European-Soviet dialogue on Human Rights. Initiated by the USSR in the 1950s to gain legitimacy for its dominance in Eastern Europe, the Helsinki accords were finally signed by 35 nations but only after a compromise had been reached. In exchange for the first two baskets on military and economic cooperation, the Soviet Union and Eastern Europe agreed to a variety of Human Rights provisions, the so-called Basket III. The first two Baskets were dealing with the assertion of Soviet leadership in Europe, the confirmation of the geopolitical status quo, resulting from World War II, which meant acceptance of their preeminent role in East Europe, and the development of scientific and technological cooperation to benefit the Soviet economy. Once Western nations agreed to such a conference, they approached it with a different agenda: the third basket was brought up, to limit Soviet influence in Europe and to ensure the recognition of existing territorial boundaries. The West wanted to establish norms of behavior among states that would enhance cooperation and ease the restrictions of the Bloc nations, particularly as these applied to a freer flow of people and ideas, these norms were mainly based on Human Rights. With many countries feeling that they had made very significant compromises and with the USSR and the East European countries in a very clear violation of many of the provisions agreed to, the Eastern bloc left itself open to criticism by state bodies and numerous citizen groups, that sprang up in Western Europe and the United States to monitor the observance of the accords. The Conference on Security and Co-operation in Europe (CSCE) was created to serve as a multilateral forum for dialogue and negotiation between East and West. After meeting for over two years in Helsinki and Geneva, the CSCE managed to reach an agreement on the Helsinki Final Act. This Act declares that: Participants determined to achieve full respect for human rights and fundamental freedoms and the development of societies based on pluralistic democracy and the rule of law are preconditions for a lasting order of peace, security, justice and cooperation in Europe. They also considered that, in spite of the significant progress made, serious threats to and violations of the CSCE principals and provisions continued to exist. In particular, the CSCE members deplored acts of discrimination, hostility and violence against persons or groups on national, ethnic or religious grounds within participating states. The participants, on the other hand, were to emphasize that issues relating to human rights, fundamental freedoms, democracy and rule of law are of international concern, as respect for these rights and freedoms constitutes on the foundations of the international order. In theory they categorically and irrevocably declared that the commitments undertaken in the field of the human dimension of the CSCE are matters of direct and legitimate concern to all participating States and do not belong exclusively to the internal affairs of the State concerned. They expressed their determination to fulfill all of their human dimension commitments and to resolve by peaceful means any related issue, individually and collectively, on the basis of mutual respect and cooperation. In this context they recognized that the active involvement of persons, groups, organizations and institutions is essential to ensure continuing progress in this direction. The CSCE also established ten fundamental principles (the Decalogue) governing the behavior of States towards their citizens, as well as towards each other. 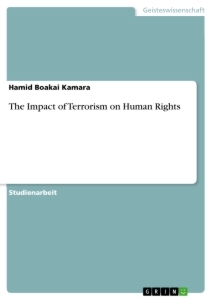 In approaching Human Rights issues the West attempted to define specific areas in which behavior would be monitored. Realizing, as Gubin calls it, that the Soviet Union and other Eastern European nations would not agree to a broad statement on freedom of emigration, the Western nations focused on family reunification. To do so the Helsinki Final Act requires that, “participating States will deal in a positive and humanitarian spirit with the applications of persons who wish to be reunited with members of their family.”. Even though the language is rather vague, the Act provides an injunction to certain behavior, assures that violations can be identified and that changes can be observed. 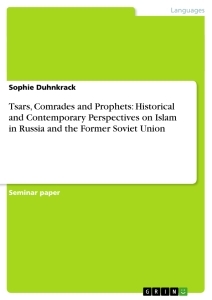 Furthermore, significant changes have had an impact on the behavior of actors and the nature of US-Soviet relations. Until 1990, the CSCE functioned mainly as a series of meetings and conferences that built on and extended the participating States´ commitments, while periodically reviewing their implementation. One of the most significant accords of the Final Act was that it made Human Rights issues, which had long been a no-go area in relationships between East and West, a subject of legitimate concern to all. No longer could nations seek to shield human rights violations from international scrutiny by claiming they were internal affairs. The CSCE served as a forum for dialogue and a catalyst for change forming a vital bridge between the two halves of what was still an ideologically, politically and economically divided Europe. first, the “political” rather than the “legal” nature of the human rights commitments; second, the role played by “implementation” and “review” meetings; third, the emphasis placed on “linkage” between Human Rights and other issues; and finally, the participation of nongovernmental organizations (NGOs) in the meetings. The CSCE as an international Human Rights regime acts as a process by which transnational actors, including interest groups, NGOs and international organizations, seek to influence the agenda and the degree to which states are able to exert or resist pressure to follow with international norms. The term “international regime” appears to be, as Gubin calls it, a tailor-made description of the CSCE. The Helsinki Final Act evolved out of a concern for security as well as a desire to preserve detente and increase cooperation. The Final Act was signed by 35 nations after two and a half years of difficult negotiations. In Gubins opinion both, East and West, can be said to have accepted some behavioral constraints in this institutional arrangement in order to maximize perceived long term gains. Unlike the UN and the regional systems such as the Council of Europe, the CSCE has not adopted Human Rights treaties that must be ratified by states and that are intended to become binding international law. The participating states of the CSCE have rather adopted documents that articulate the political commitments they make to each other, including commitments to protect Human Rights. Because they are adopted by consensus, these political commitments do not permit states to attach reservations or exceptions. The CSCE declarations therefore are not law and cannot be enforced by any court, although they are political commitments to which other CSCE participating states may legitimately raise questions about other states´ compliance. The Preamble to the Moscow Document of 1991 asserts that the participating states “categorically declare that the commitments undertaken in the field of the human dimension of the CSCE are matters of direct and legitimate concern to all participating states and do not belong to the internal affairs of the state concerned.”. Speaking as the Director of the Office of Democratic Institutions and Human Rights, Ambassador Audrey Glover stated: “The argument of non-interference in internal affairs with regard to the human dimension is not valid. It never has been.”. Despite the official adoption of the position that human rights issues are an international concern and not solely a domestic issue, many CSCE participating states continued to object to criticism from the outside on the grounds that such criticism constitute an improper interference with their internal affairs. An important addition was the final section of the Helsinki Act, which provided that there should be a number of follow-up meetings to examine, whether the participating states had implemented the commitments made in 1975 or not. The follow-up meetings, which William Korey later described as “one of the greatest achievements of the Helsinki Final Act” seemed not very promising to start with. The first review to this paper was the Belgrade Follow-Up Conference held from 4 October 1977 to 9 March 1978. Human Rights dominated the agenda of this, with Bentes words, tense and acrimonious review of compliance with the Final Act. Another follow-up conference began in Vienna in November 1986. While the Soviet Union was jet somewhat more willing to discuss human rights issues, progress was still very slow and the talks dragged on for more than two years, before the result was a significant change and improvement of the Human Rights regime. Due to the fact, that an international regime is often seen as an intervening variable, a steady increase in family reunification with the creation and expansion of the CSCE process was rather surprising. In the beginning of the Helsinki process, Western states sought to link agreements on issues related to security to issues related to Human Rights. By connecting Human Rights and security concerns, the Western states made it more attractive for communist governments to adhere internally to Human Rights norms. One of the means by which this linkage was established was to acknowledge that each state had a legitimate interest in each other states´s compliance with all of the terms of the Helsinki Final Act. Again, by linking Human Rights to peace and friendly relations, the participating states transformed Human Rights from a marginal item on the European political agenda into a subject of central importance to it. Henceforth the Final Act made it politically legitimate to link the protection of Human Rights with arms control and the liberalization of trade relations. Within Basket III, Western concerns for human contacts and free flow of information are linked to the cultural and educational exchange, which are of interest to both the East and the West. It is this linkage that was the main goal of the Western nations. Thus, throughout the negotiations on the original document and in all follow-up meetings progress on the issues of security and trade, which were of interest to the Soviets, were made dependent on progress in Human Rights. Especially freedom of movement received a good deal of attention in CSCE negotiations. It is an important indicator of a government´s attitude toward Human Rights. The dramatic changes in Soviet compliance with CSCE emigration norms do correspond to an overall improvement in its Human Rights behavior, it would seem, to Bente, to indicate the success of the CSCE regime. No matter how much the relationship between the US and the USSR improved, Bente points out that, there was still enough in the Final Act to allow the West to continue to criticize Human Rights violations in the Socialist bloc. Within the East itself, Helsinki groups, named after the Final Act, became important players in the socialist regimes. Human Rights are, after all, institutional developments. The growth of citizen Human Rights organizations show that the focus of national leaders on Human Rights and significant political changes in the most abusive nations have increased. Human Rights constitute an intellectual and legal problem as well as a political issue of extraordinary concern. During the 1980s, there appears to be a growing consensus in the Western world and in certain socialist societies that Human Rights are definable, should exist and may be an achievable objective. The Universal Declaration of Human Rights, adopted in the final years of Stalinist rule, a time when mass repression was still institutionalized, seemed for many to be a hypocritical gesture  . Moreover, the credibility of Soviet foreign policy suffered from its transparently ideological and opportunistic motives. Soviet commitment to the Helsinki process was called into question by its appalling domestic Human Rights record. But the Human Rights issue has, nevertheless acquired greater prestige and respect in the international arena. It became a concern of many politicians with a mass constituency. The observance of Human Rights itself became a key gauge to the international community of a country´s performance. Shelley, Louise I.: Human Rights as an International Issue, in: Annal of the American Academy of Political and Social Science, Vol. 506. Human Rights around the World (November, 1989), p. 44. Shelley, Louise I.: Human Rights as an International Issue, p. 45. Gubin, Sandra L.: Between Regimes and Realism. Transnational Agenda Settings. Soviet Compliance with CSCE Human Rights Norms, Human Rights Quarterly, Vol. 17, No. 2, May, 1995, p. 281. Bente, Christian: The OSCE and the Problem of Human Rights, pp. 1. Document of the Moscow Meeting of the Conference on Human Dimension of the CSCE, 10 September to 4 October 1991, p. 2. Gubin, Sandra L.: Between Regimes and Realism, p. 282. Gubin, Sandra L.: Between Regimes and Realism, p. 287. Bente, Christian: The OSCE and the Problem of Human Rights, pp. 4. Gubin, Sandra L.: Between Regimes and Realism, p. 279. Gubin, Sandra L.: Between Regimes and Realism, pp. 283. Bente, Christian: The OSCE and the Problem of Human Rights, p. 7. Shelley, Louise I.: Human Rights as an International Issue, p. 42. 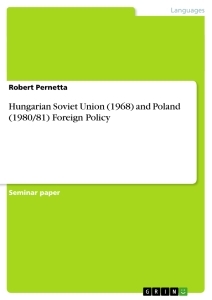 Howe, Geoffrey: Soviet Foreign Policy under Gorbachev, in: The World Today. Vol. 45, No. 3 (March, 1989), p. 41. Shelley, Louise I.: Human Rights as an International Issue, p. 44.